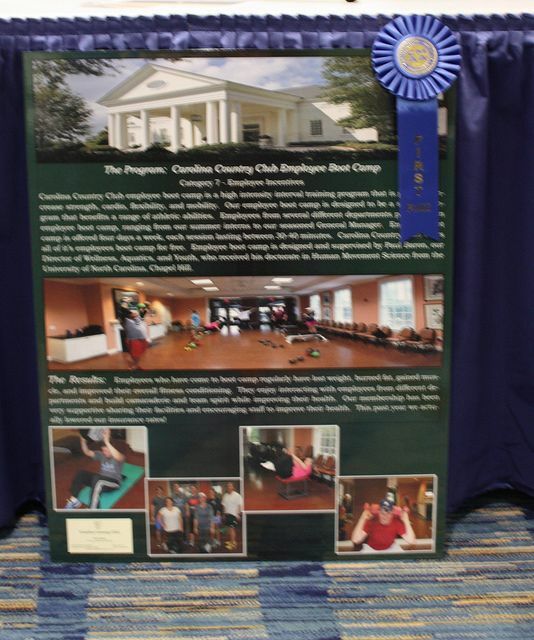 Carolina Country Club Employee Boot Camp has enhanced team building and employee morale. It offers a professional fitness trainer 4 days per week at no cost. This program promotes healthy lifestyles and offers stress management solutions. Employees also gain the opportunity to interact with staff members of different departments at a fun and personal level. In addition, there has been an overall positive impact on health insurance rates.